Booking a chalet holiday with infants! 1. Which resort is it in? 2. Proximity to piste or lifts? 3. How close are the bars? 4. Does the chalet have a hot tub or sauna? 5. Does the chalet represent good value for money. We have just booked our first group chalet trip with little ones in tow and there is a whole new side of things to consider that actually makes it much trickier! The first and most important consideration is cot space. Just because your bedroom at home has enough space doesn’t necessarily mean your chosen chalet will. In fact lots of chalets, especially in France, have very small bedrooms. This is something that has to be checked before you get excited about any chalet whatsoever. An Alpenglow Top Tip – smaller independent chalet companies are going to be your best bet if you have more than one infant in need of a cot in the group. The larger package operators are very stringent on cot space and finding a chalet that takes more than is really difficult. The smaller companies will be more willing to work with you on this. The next point we needed to think about was how to actually feed the kids whilst we are in the chalet. We cook for our little one as do a lot of the group we are travelling with (there are 5 babies coming on the trip!) so access to a kitchen is of paramount importance. This can be a problem as many chalet operators will not allow you in the ktichen, moreover they forbid it because it sometimes voids their insurance policies. You will tend to find again that smaller chalet operators will be more understanding than the larger package operators. The resort is also just as important now as it was before the kids came along but for different reasons. Nightlife and off-piste potential is less of a draw now but short transfer times and flexible childcare options are far more important. The other key point here is whether the resort has a decent size centre because it’s much easier to look after a little one if you’ve got some nice cafes, swimming pool etc. The childcare point is key, most of the resorts (even the really small ones) will have a resort creche service and these can generally be very good however if you are looking for something a bit more, such as baby sitting services, private nannies etc. then it’s nowhere near as easy as you might think. 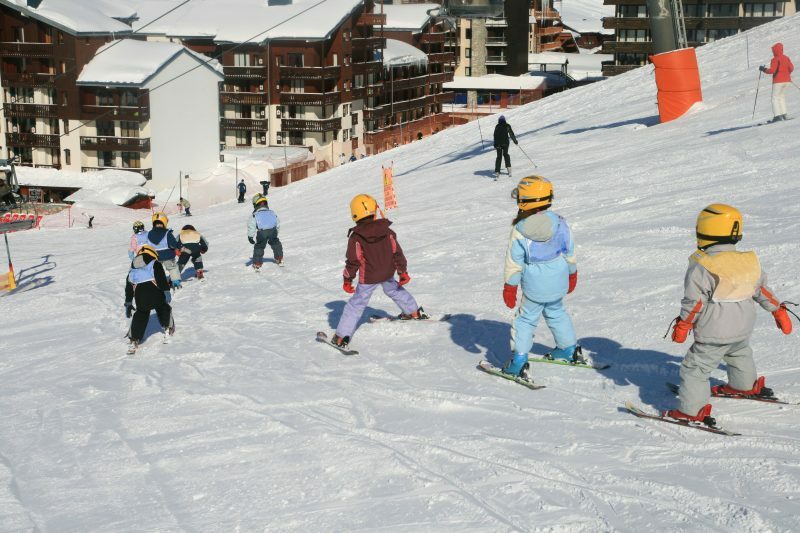 Alpe d’Huez is a classic example, as a resort it’s great for families as the skiing works brilliantly, there are also a hat load of activities to keep little ones entertained but try finding any type of childcare outside of the resort creche and you’ll struggle. We find the following resorts to work the best for this, Morzine, Merlbel and Val d’Isere. The final point on the chalet we needed to think about is clothes washing facilities, I know it’s really dull but it’s such a key point. Whenever clients used to ask about using a washing machine whilst they were away, I’d struggle to understand the need for it, well no longer!! We managed to find a chalet in Morzine that fits a cot in every room, will allow us limited access to the kitchen, short transfer and lots of childcare services in resort. It wasn’t easy but we did it and luckily it’s a lovely chalet too. We can’t wait!